On lightly floured surface, roll 1 pie crust into 12-inch circle, and place in ungreased 9-inch glass pie plate. Press firmly against side and bottom, folding extra crust underneath and pressing on top rim of pie plate. Refrigerate. In small bowl, mix 2 tablespoons sugar and 1/2 teaspoon of the cinnamon. On lightly floured surface, unroll second pie crust and fold in half. Roll into 13x9-inch rectangle. 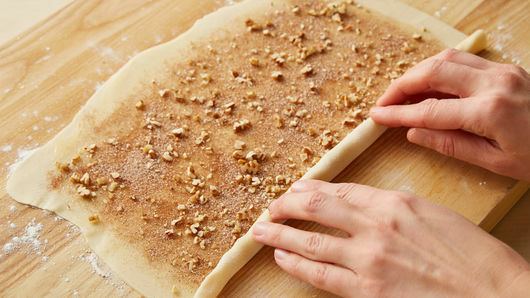 Brush with 1 tablespoon of the melted butter, and sprinkle with sugar mixture and pecans, to within 1/4 inch of edges. Starting at long edge, tightly roll into log, pressing seam together and pinching ends to seal. Refrigerate until firm, about 30 minutes. Heat oven to 425°F; place large cookie sheet on bottom rack of oven to catch any drips. 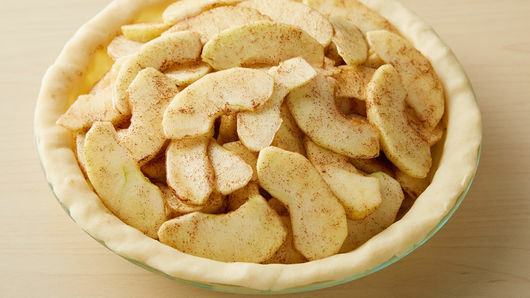 In large bowl, mix apples, 1/2 cup sugar, remaining 1 1/2 teaspoons cinnamon, the flour and salt until combined; transfer mixture to pie crust-lined pie plate. Trim ends of dough log to a 12-inch log. Cut dough log into 40 slices. 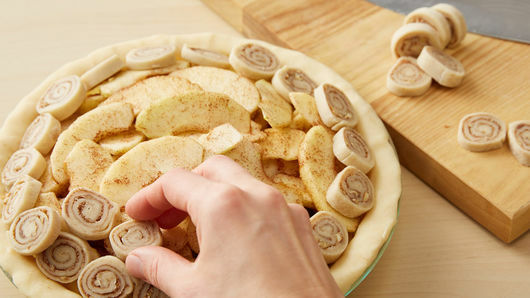 Arrange slices over apple mixture, pinching outer edge of pie crust over and onto outer crust rounds. Brush tops of crust rounds with remaining 1 tablespoon melted butter. Loosely cover with foil. Bake 20 minutes. Uncover; bake 25 to 28 minutes longer or until edges are deep golden brown and juices are bubbling. Cool 2 hours before serving. 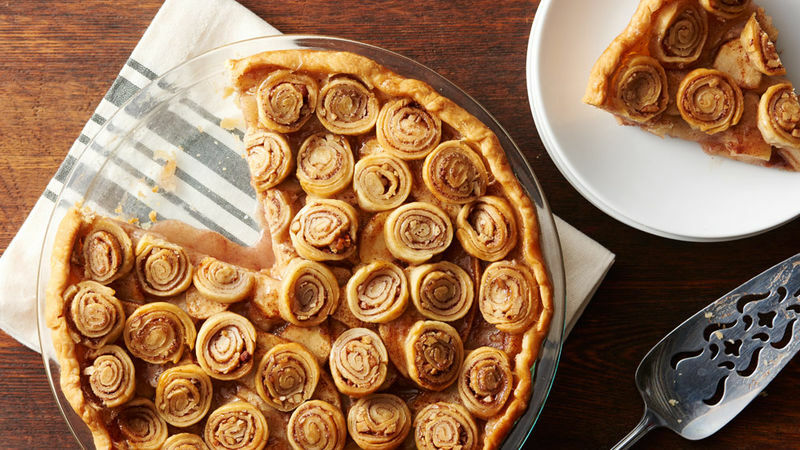 Placing a cookie sheet or rimmed baking sheet below the pie will help catch any drips from the pie, making cleanup easier. Great served slightly warm with a scoop of vanilla ice cream.